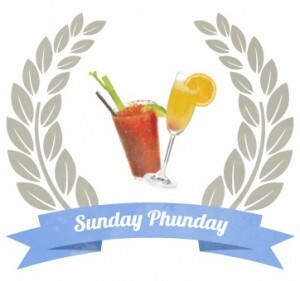 Our popular post about Sunday drink specials in Philly. Check out our 2014 post here. Depending on how well (or poorly) our weekends begin, many of us love wrapping them up with a Sunday Funday, filled with eggs, mimosas, Bloody Mary’s and who-knows-what after that. Heck, a good Sunday Funday often can be the most enjoyable and longest (in a good way) day of the week. Whether it’s football or baseball season, whether we ran a 5k race in the morning or want to be lazy for the day, whether there’s sunshine or a snowstorm, hungry and thirsty people like to kick back and, often, over-indulge on Sundays. First comes Challah bread French toast or maybe even Huevos Rancheros. Second, it’s a sip of a potent morning beverage. Next thing we know, we’re bopping around the city all day long until our Monday morning alarms wake us to face one of the worst (hangover) days ever. You know what makes that Monday hangover even worse? Realizing how much you spent Funday-ing it the day before. Those mimosas and craft beers sure can add up. Of course, we all enjoy supporting the local economy and tipping our bartenders well, but … our wallets can only absorb so much Sunday Funday damage. Have no fear, Philly Funday’ers: The spreadsheet spirits at CCM have got you covered. Want to know what bars have bottomless mimosas and Bloody Mary deals? Prefer a Sunday beer deal? Maybe you know your local brunch places, but you have reason to be in a different part of town? Well, bookmark this post and share it with you Philly friends, because here is the spreadsheet you’ve been waiting for: The Official Sunday Funday Spreadsheet Locator for Philadelphia Phunday’ers. Enjoy! Update (9/5/14): As football season begins, you need to know where to go before and after the games. Check out our new post here and our new-and-improved, mobile-friendly Sunday Funday Locator for Philadelphia Phunday’ers. Happy Sunday Funday-ing, Philly Peeps! Cheers!